Think £20 for a dual band handheld is a bit too much? Well how about £9.36 for two? 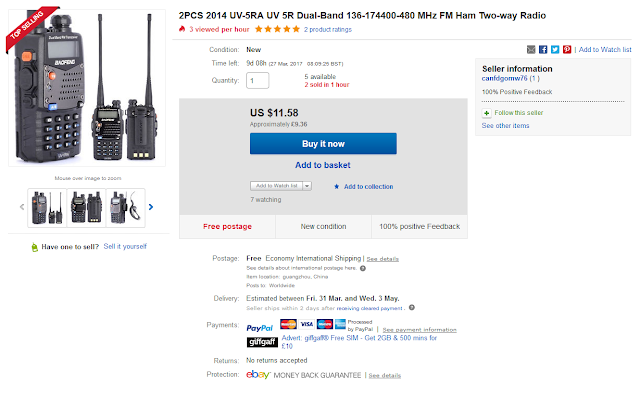 If you look through enough search results on Ebay for Baofeng radios (either the UV5 or the BF888 single band 16-channel) you find the odd one on sale for ludicrously low prices. At this sort of price, even if the battery or the radio was faulty when delivered, the other half would still be worth the money as a spare.